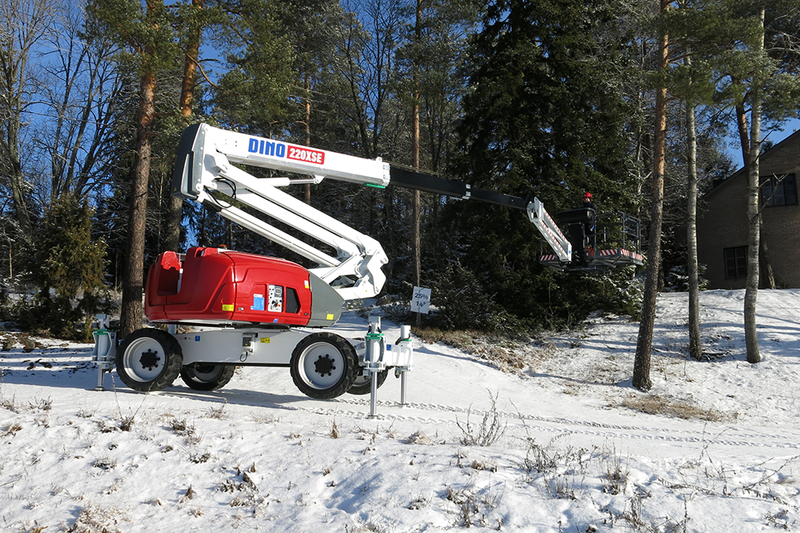 DINO 220XSE – get the job done on slopes up to 12°! When you need a boom lift that can handle even the toughest slopes, the right choice is the DINO 220XSE with outriggers. It allows you to work on slopes up to 12° with outriggers and 5° without outriggers. “With the successful launch of the XSE with outriggers, we noticed that there is demand for this kind of equipment. Our customers want high basket capacity combined with the possibility to operate the machine on uneven surfaces,” says Karin Nars from Dinolift. For a quotation or a machine demo, please contact the Dinolift sales team sales@dinolift.com or your local distributor. Read more about DINO 220XSE.